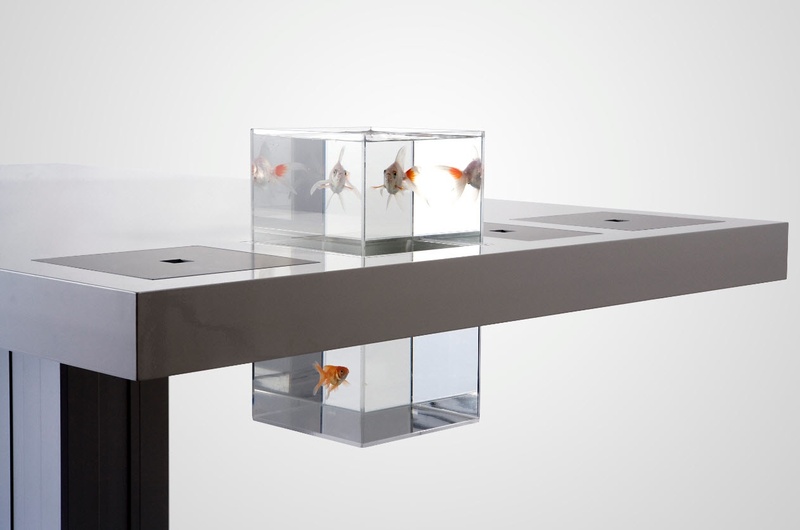 …but somehow they just don’t work for me. 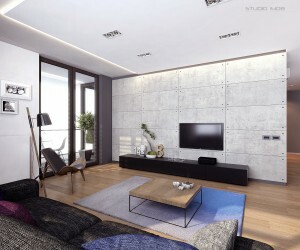 Design wise, I am more of the minimalist so naturally the ones I tend to like also favour this type of style. These minimalist computer desks we are going to feature are light weight, easy on the eyes and most of them are as sleek as the technology they are designed to hold. OneLessDesk from Heckler Designs has a 2 deck design and takes up merely 12 inches of space when put away. The company’s pitch for the product actually sounds convincing. At one time, you needed a desk that could fit a mountain of paper, a two-foot-deep monitor, printer, and a CPU the size of a Labrador. 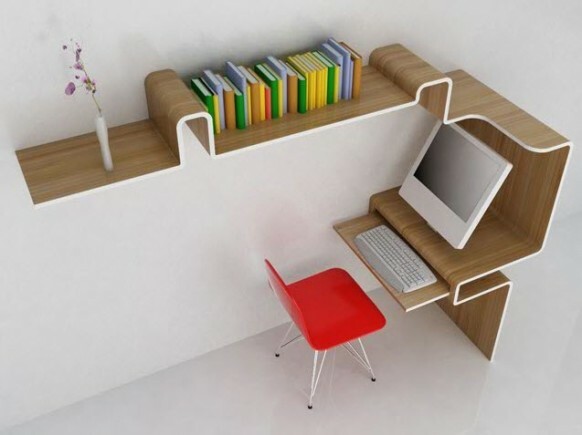 Today, your computer is an inch thick. 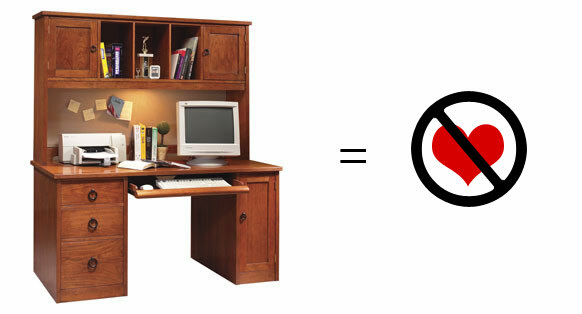 You have moved forward. 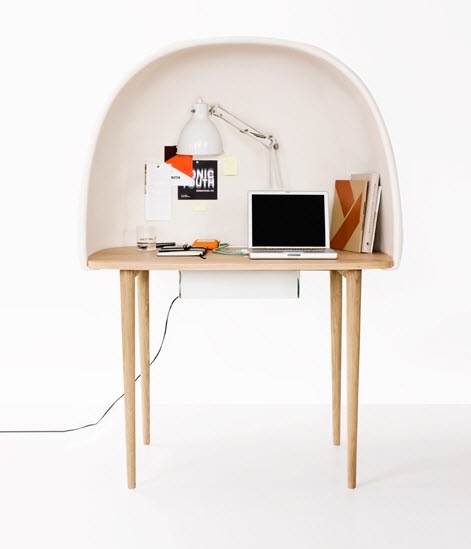 It’s time your desk caught up. 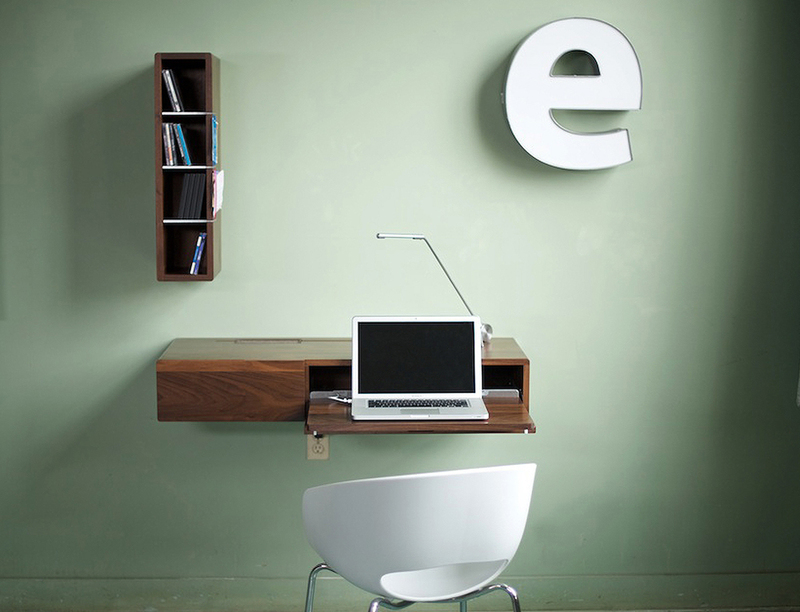 If you normally tend to work on a laptop, this floating Ledge desk from Urban Case might be all you need. 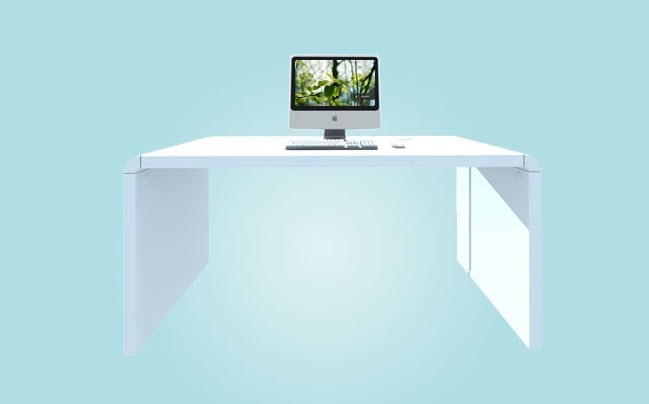 Milk‘s computer desk is another minimalist desk concept that is defined by clean lines and in-built compartments for hardware and fish tank! 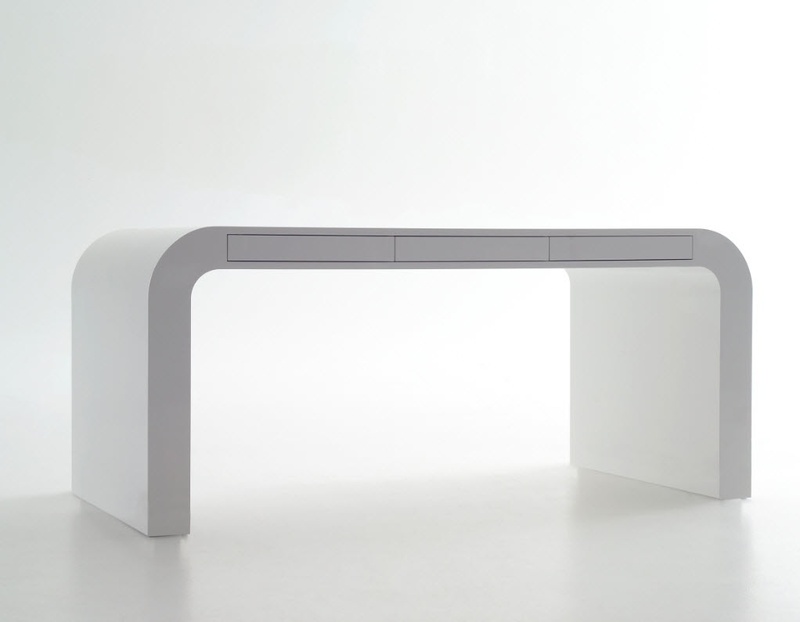 The Airia Desk From Herman Miller is the latest example of the design giant’s genius. 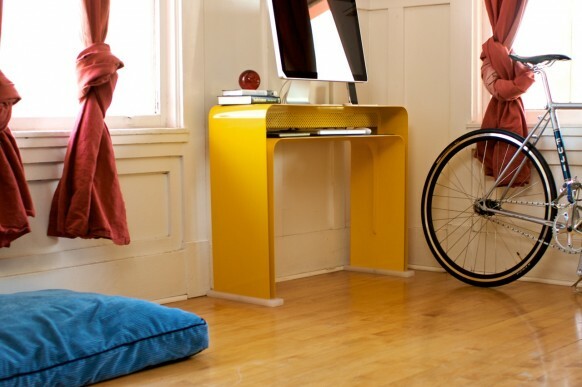 The desk is sleekly modernized version of a drafting table, giving you storage with style. The Signalement Desk designed by Germany’s Peter Petersen as part of his Tank Collection, and is made entirely of medium density fiberboard and looks like something from the future. 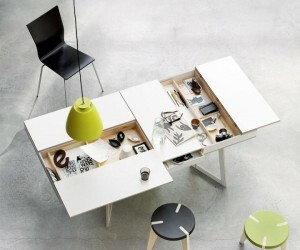 If you are the kind who gets easily distracted, you would love the ReWrite desk by GamFratesi. 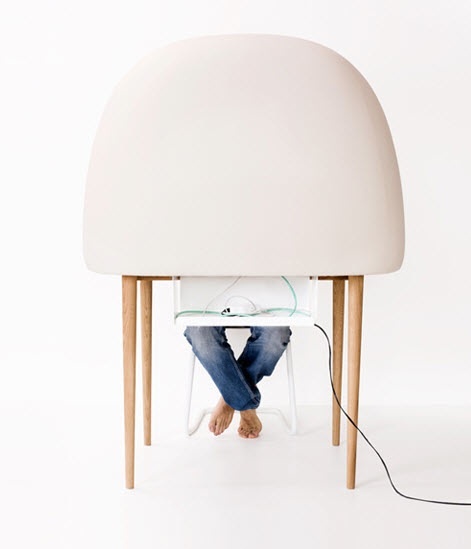 The half cubicle-half egg design would help you get work done! 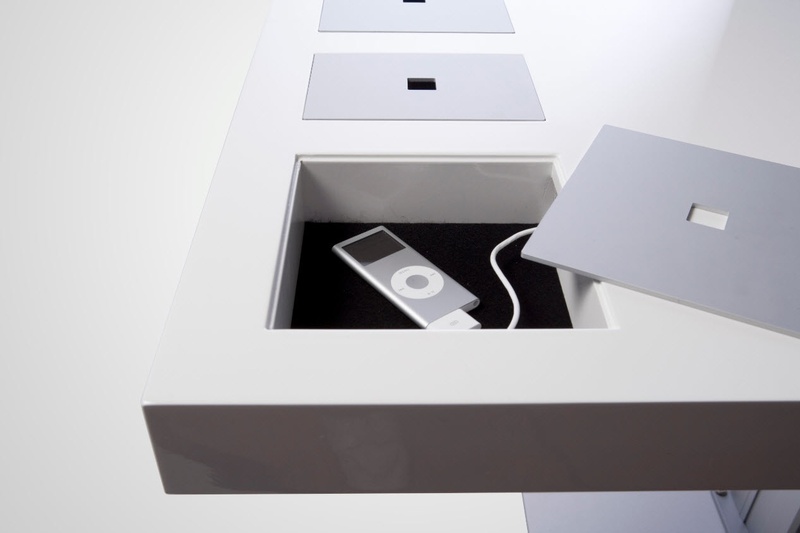 The iDesk is as sleek as any iMac, making it a great décor compliment to your computer. 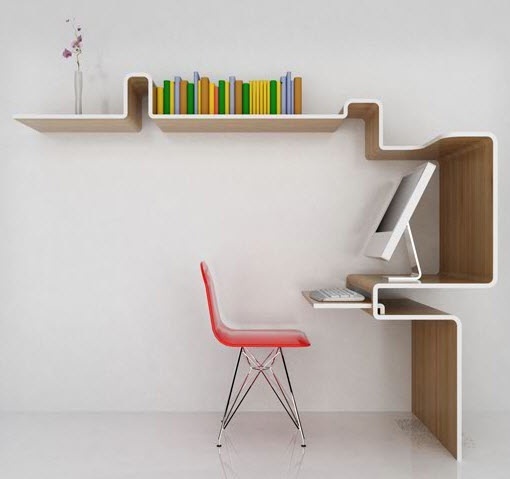 MisoSoup Design’s K Workstation looks like a single piece of material mounted to a wall to provide a workspace, storage and overhead shelving with the aesthetic fluidity of a noodle. The VU.VU.VU desk by Emmemobili appears to nearly levitate, while providing space for a PC, keyboard and accouterments. 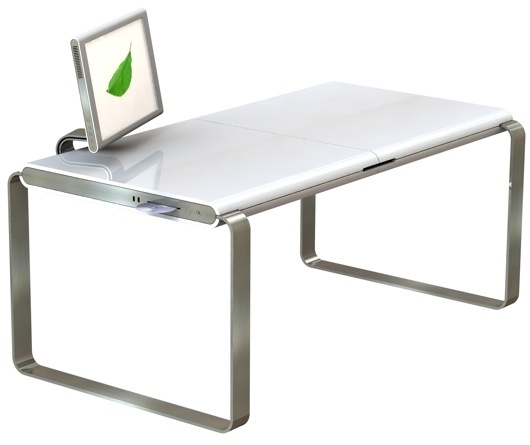 The XYZ desk offers something revolutionary – it integrates the computer right into the desk. 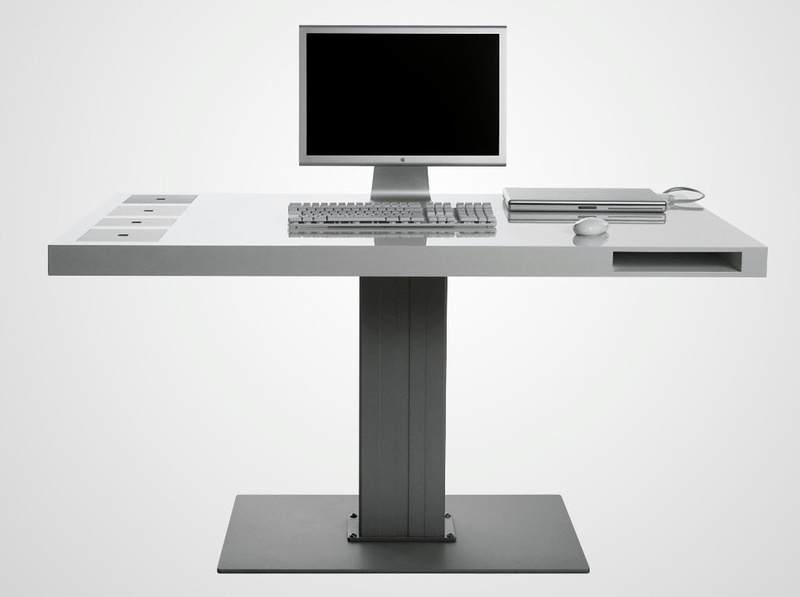 Another computer-desk integration concept. But this Sync Desktop by Gareth Battensby allows you to fold in the monitor too.